Hi guys i’m Ah Yap. New to this blog. 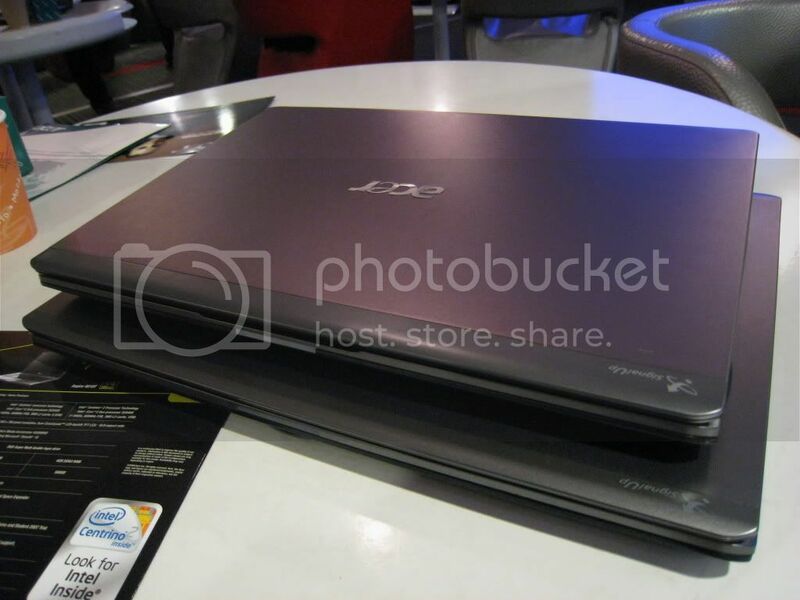 On the 13-05-09, ME and VT went to the sneek preview of the new Acer Aspire Timeline series at the Geek Terminal. We manage to lay our hands on the 13incher and 14incher. both are the top models in their respective sizes. 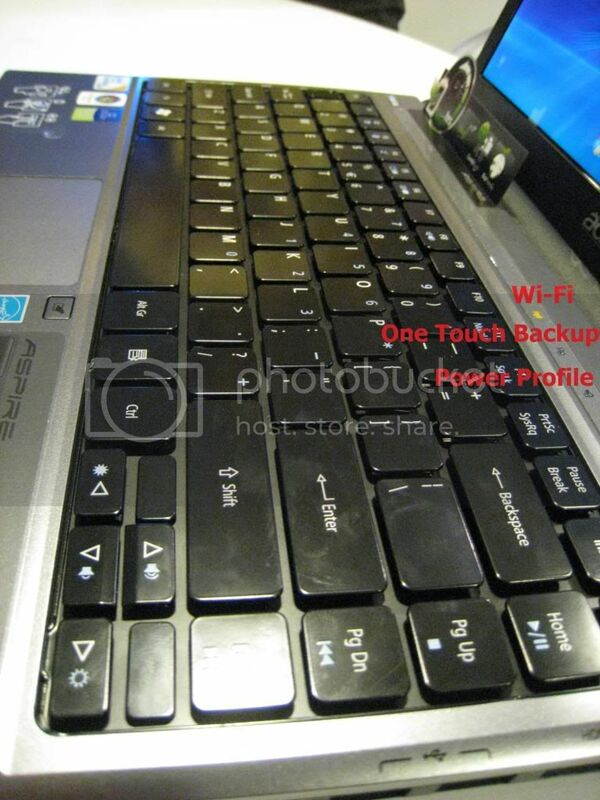 As we know acer is known to produce laptops with unbeatable prices. this time they have produced a laptop that has a battery life of more than 8hours hence the name of the series “TIMELINE”. This is made possible with the Intel ULV processors. these processors has been around for quite sometime but not much laptop makers put into their laptops.Currently Acer offers 2 models – Aspire 3810T(13.3”) and Aspire 4810T(14”). Under each models there are 2 sub models letting the buyers to have a choice of a single core processor or a dual core processor. 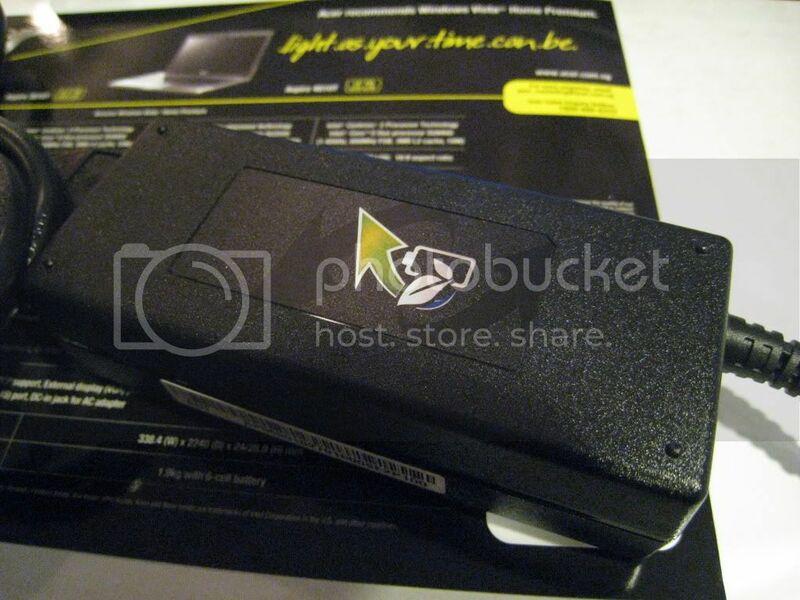 Both sizes features LED-Backlit LCDs and the lcd case is made of aluminum. And its cooling systems is backed by Intel Laminar Wall Jet Technology. 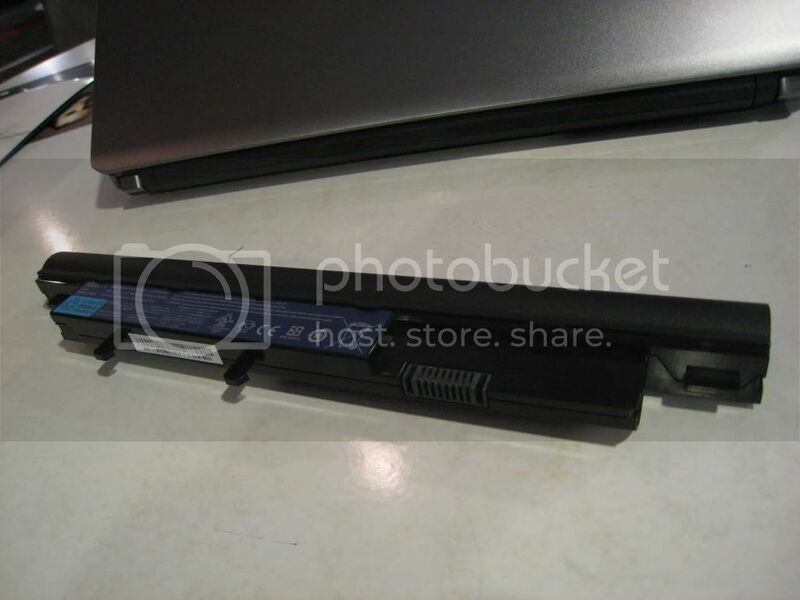 This technology has been used byAircraft to cool their turbine blades and this makes this laptop very cool and for the whole night the laptop was cool to touch. Single processor will consume 5.50W of power while the dual core processors will consume 10w of power which means buying single core will make the laptop last longer but with a trade-off of processing power but with the dual core that me and budget gadgetor had our hands on the battery was still holding up very well. Timeline series complies with the strictest Energy Star 5.0 prerequisites, even the adaptor is also efficient as it is a Acer Power Smart Adapter. the adapter enters adaptive charging mode when it detects the better is full and this reduces wear and tear of the battery. While charging there is also a yellowish LED that will be lighted up, when full charge it turns blue. And let me tell you this Timeline series is really no joke. 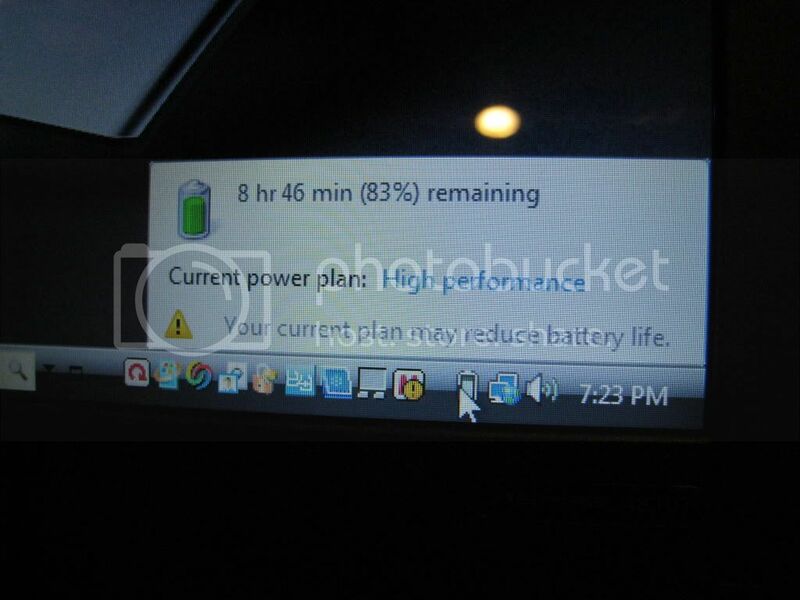 the battery life is amazing, when the laptop was presented to us it has only 84% of power and vista reports that it still can last for another 8hours. With a battery that last so long users do not even need to lug their heavy power adapters around. 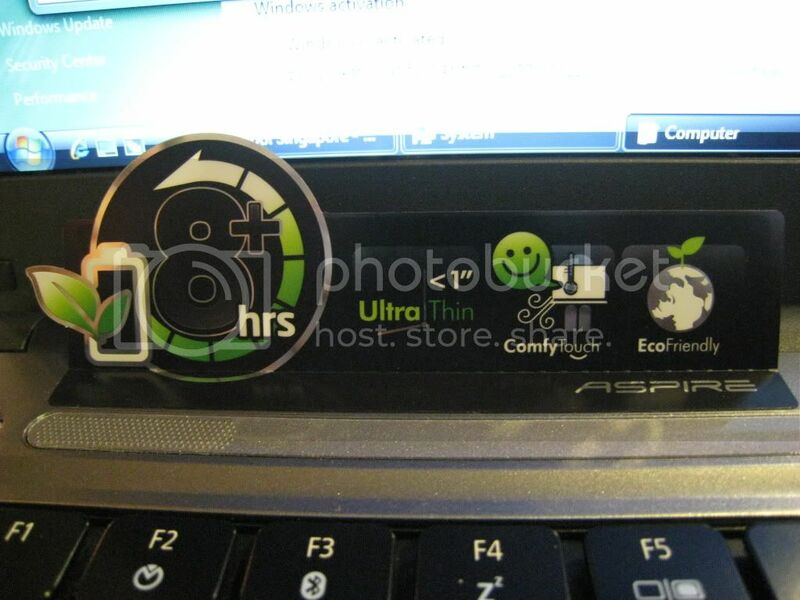 this is the part where acer applies their magic, as soon as the user pulls out the power adapter cable from the laptop, the laptop enters Acer PowerSmart mode automatically, in this mode all the unneed programs and hardware are forced to enter low energy consumption mode, even the DVD drive gets the chance to take a nap. And the unusual part of the dvd-rw drive at first glance you won’t get to see the eject button. The button is software controlled so if the drive goes to sleep mode give it a few press and it will wake up. One for wifi, one for One Touch backup and the last one for power profile. The wifi button simply turns your wifi ON and OFF instead of the usual manual switch. 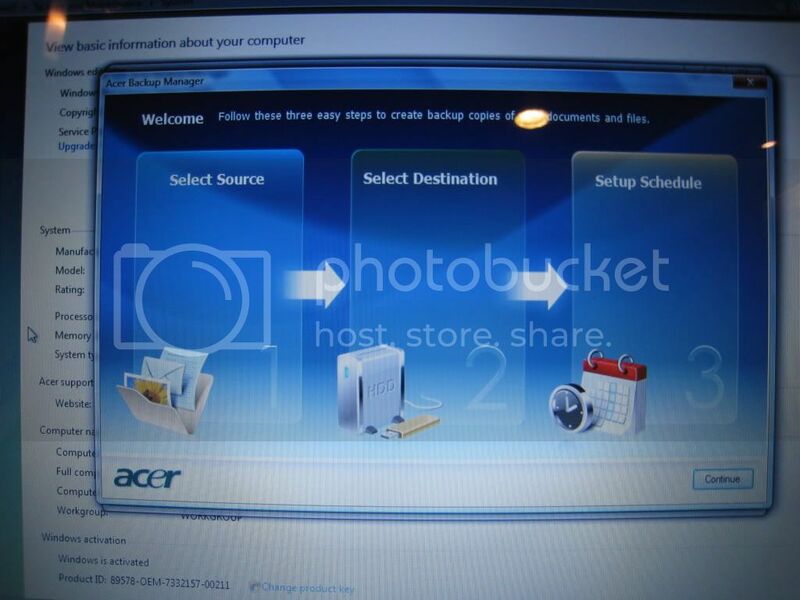 and the One touch backup button is something new for me and i do find it useful as the backup software is provided by acer for FREE and it is able to backup to all removable media and dvd. sadly according to acer it is unable to backup to our NAS, however it is still a very useful button. And as for the power profile button it is also smart in a way, when the laptop is plugged into a power source this button does nothing but wait… If you unplug the power this button comes alive, with acer built in software whenever the user starts to use battery power the laptop will switch to maximum power saving mode and the button will be lighted up green signifying its in ECO mode but this can be change by the user if he/she intends to use more processing power, just simply touch the button and you can cycle through the power profiles that are set by microsoft. 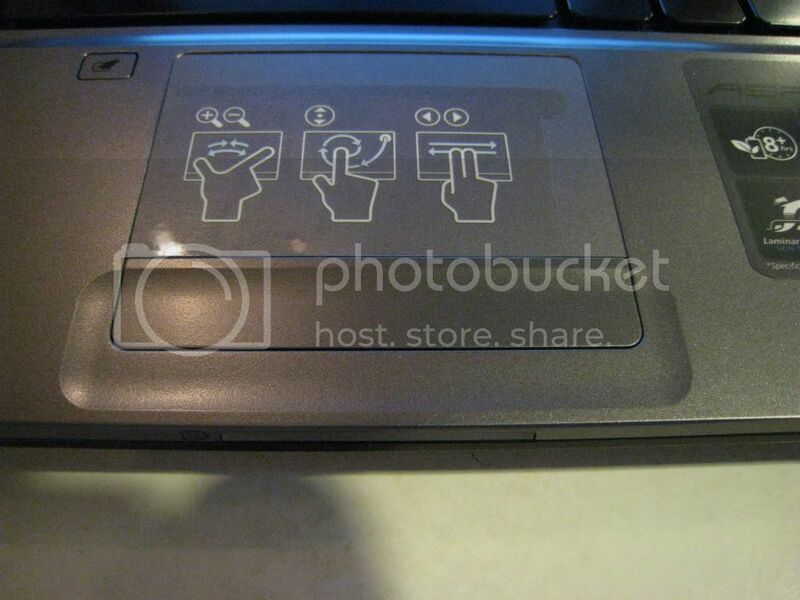 Acer has also adopted the new touch pad from Synaptics that has similar hand gestures that the user can use like a MAC. 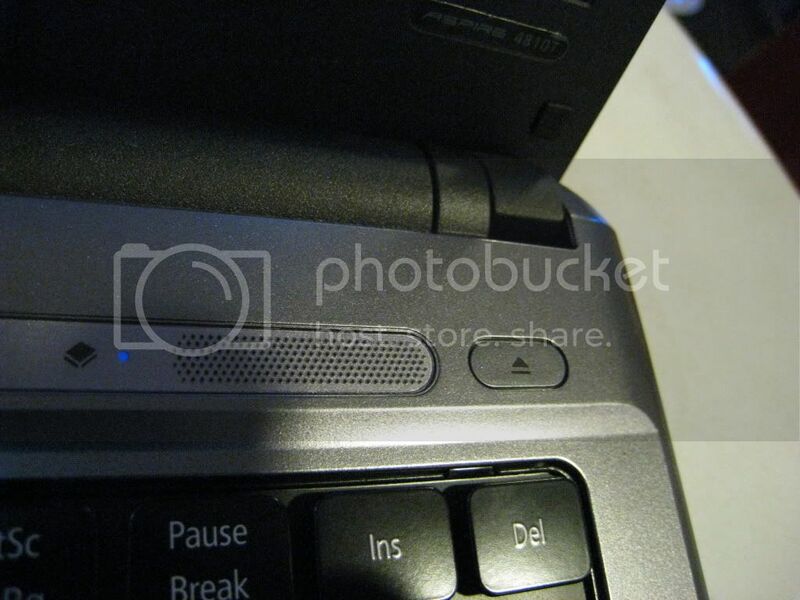 and there is also a shortcut button and the edge of the touchpad for switching the touchpad ON and OFF. there 3 gestures that the users can perform, one is the pinching for zooming in and out, second would be the scrolling this is very useful as this transform the touchpad into a jog dial and you can scroll through long documents or websites with ease and speed, third would be the back and forward to make our web surfing easier when we are stuck without a mouse. And there you have it Acer’s new TIMELINE series.